But the woman’s nightmare didn’t end that night. Kent’s then-girlfriend — who has not been named — and her family were disappointed to learn that while Kent could be prosecuted for simple battery, his case would not be prosecuted as a domestic offense, which carries harsher penalties. Kent was charged with second-degree murder, which carries a minimum penalty of imprisonment for at least 10 years and no more than 50 years. However, in September, Kent pleaded guilty to three misdemeanors — simple battery, false imprisonment and unauthorized use of a movable. He received a suspended sentence of six months at the Orleans Justice Center jail, a year of inactive probation and six weeks of drug and alcohol testing and anger management. He was also ordered to refrain from contacting his victim and to pay $745 in court fines and fees. If Kent had been charged with domestic abuse battery, he would have faced the possibility of imprisonment for at least 10 days and no more than six months. But since the couple wasn’t married, didn’t have children together, and wasn’t living together, the domestic violence statute could not be applied. Had the event transpired just six months later, the result would likely have been very different. Earlier this year, State Rep. Helena Moreno, D-New Orleans introduced a bill to incorporate dating partners into domestic violence statutes. Up until then, the statutes only applied to married couples, couples living together or couples with children together. The bill, which was signed into law by Gov. John Bel Edwards in June, amended the law to include those in a dating relationship. The law went into effect on Aug. 1. The statute specifies that the term does not refer to “a casual relationship or ordinary association between persons in a business or social context.” Nearly all of this wording is new. Most of the law’s original language has been removed. 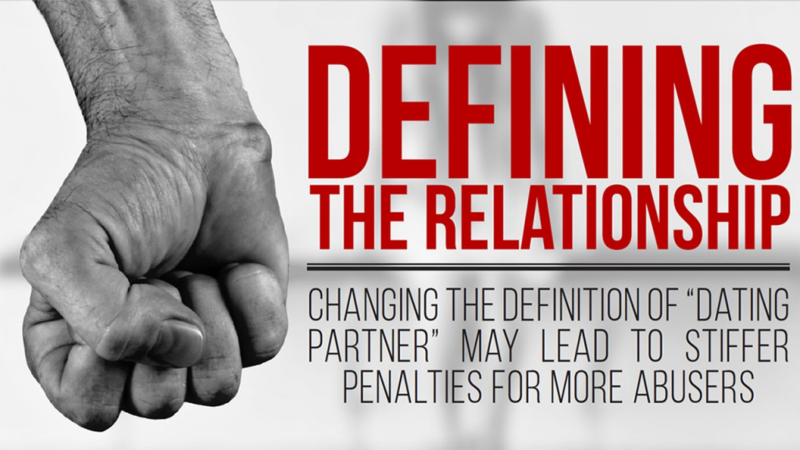 The original wording of the law defined a dating partner as “a person in a social relationship of a romantic and intimate nature.” The law also specified that the existence of a dating partner’s relationship would be determined by three factors: “the length of the relationship; the type of relationship; and the frequency of interaction between the persons involved in the relationship.” The new version of the law omits this wording entirely. Director of Clinical Legal Education Robert Lancaster said the original wording in the law is more in line with “traditional notions” of dating. “Dating’s changed, but the law hasn’t really kept up,” he said. In addition to amending the definition of dating partners for the purpose of civil protection, Lancaster said the bill created criminal statutes relating to aggravated assault upon a dating partner, La R.S. 14:34.9, and battery of a dating partner, La R.S. 14:34.9.1. Before Aug. 1, the law allowed for dating partners to acquire civil protection orders after incidents of dating violence. The change to the law didn’t create a new crime, but instead created a heightened penalty based upon the relationship between the people involved. Under the new law, on a first conviction of battery, an offender will be fined $300-$1,000 and will be imprisoned for at least 30 days and no more than six months. At least 48 hours of that sentence must be served without benefit of parole, probation or suspension of sentence. Upon conviction of a second offense, an offender will be fined $750-$1,000 and will be imprisoned with or without hard labor for at least 60 days and no more than one year. At least 14 of those days must be served without benefit of parole, probation or suspension of sentence. If convicted of a third offense, the offender will be fined $2,000 imprisoned with or without hard labor for at least one year and no more than five years. The first year of the sentence must be served without benefit of parole, probation or suspension of sentence. Conviction of a fourth or subsequent offense will result in a fine of $5,000 and imprisonment with hard labor for at least 10 years and no more than 30 years. The first three years of that sentence must be served without benefit of parole, probation or suspension of sentence. The new law also includes provisions for specific acts like strangulation, violence against a pregnant partner and burning that results in serious bodily injury. If the new law had taken effect before Feb. 4 — the night the events took place — Kent would have faced the possibility of imprisonment at hard labor no more than three years — the heightened penalty for strangulation. In addition, conviction of aggravated assault upon a dating partner carries with it imprisonment at hard labor for at least one year and no more than five years. Lawmakers’ concerns may be well-founded. According to the National Coalition Against Domestic Violence, one in three women and one in four men in the United States will experience intimate partner violence at some point in their lifetime. In Louisiana, 81 percent of female homicides are committed by a partner or ex-partner. According to LSU’s Annual Security and Fire Report, there were 12 reported instances of dating violence on campus in 2016. That’s almost double the seven instances reported in 2015.